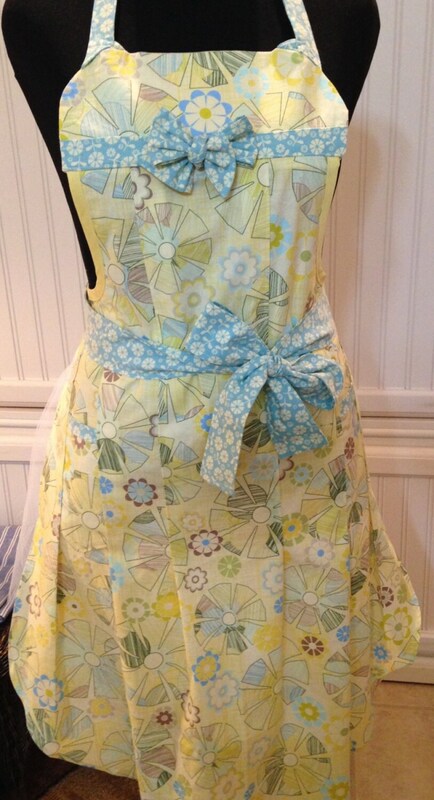 Womens full apron. 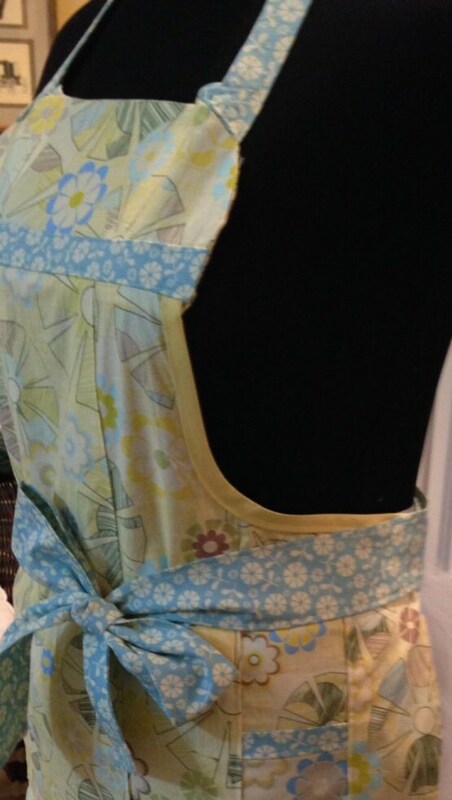 This beautiful apron is unique with its longer length and pleated front. The light weight quilt quality cotton material makes the apron feel as light as whipped cream. 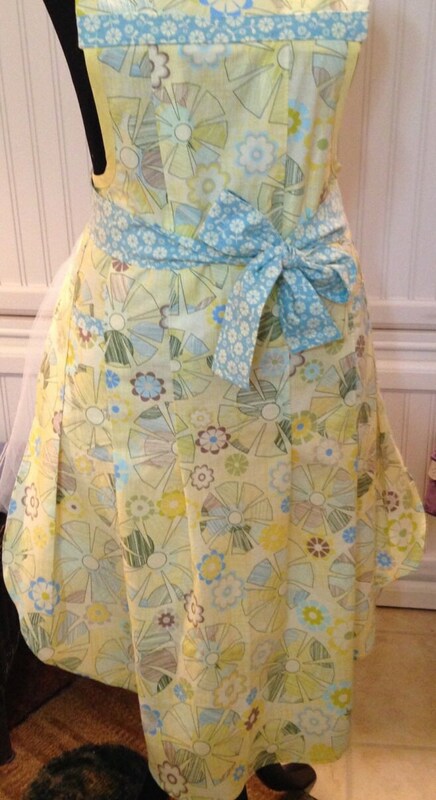 The soft yellow patterned body with aqua trimmed bodice and pinned bow live up to the aprons name, the Clara Bow. 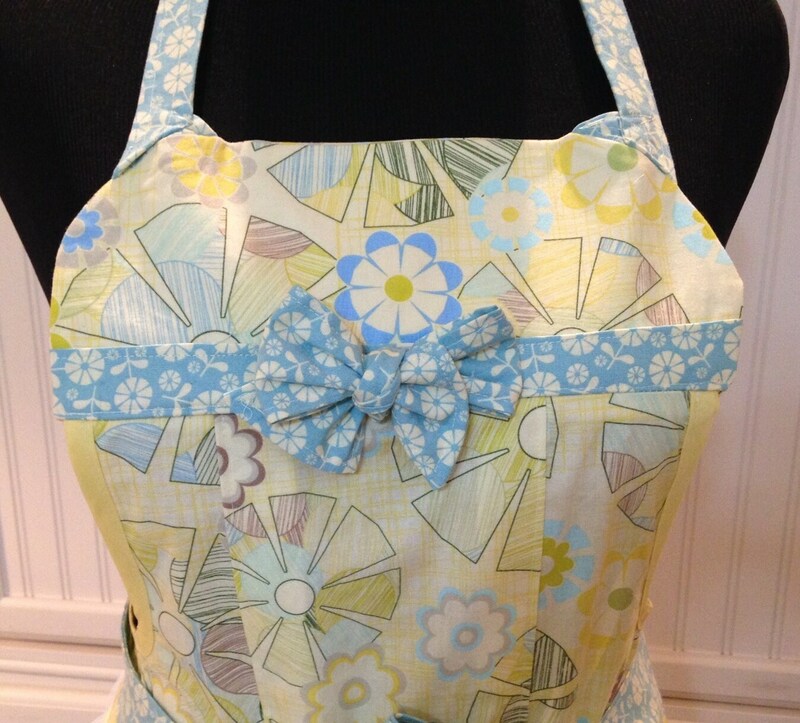 This is a slim style Womens full apron with two pockets to hold your wooden spoon or spatula. 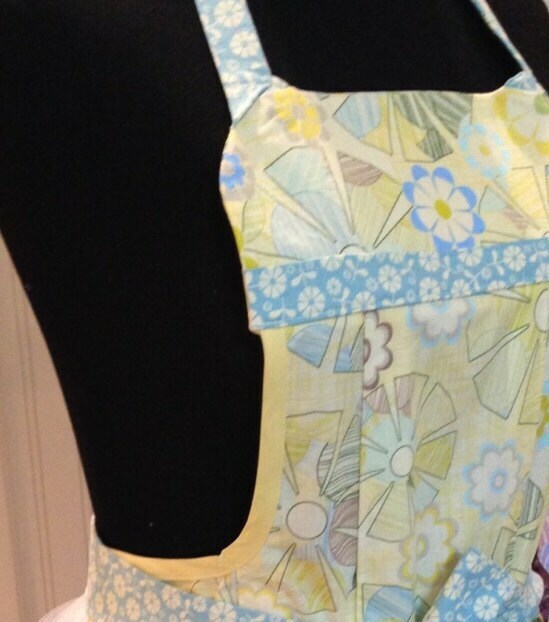 The pleated style make thus apron unique and perfect for the tall slim cook. Machine wash on warm, cool dry, warm iron if needed.